Two of our many beautiful working dogs! 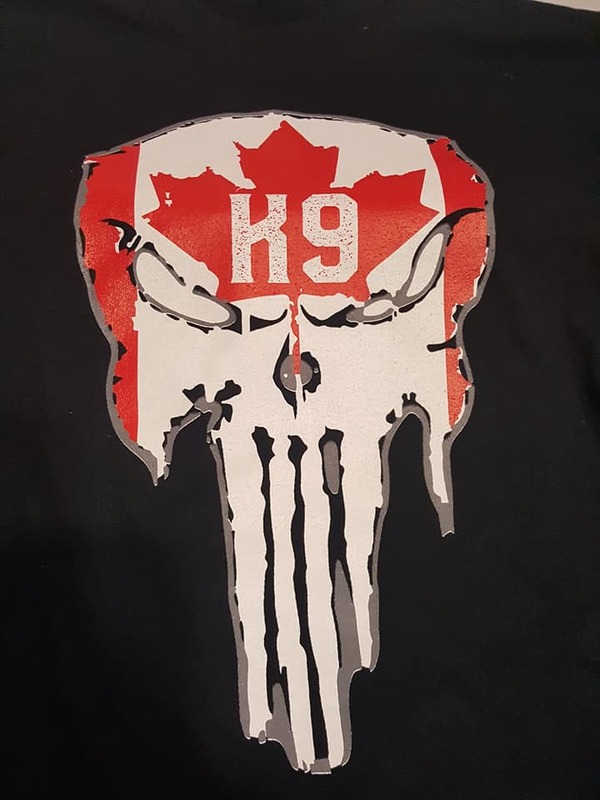 Huge Congrats to Sara Dennis and Preacher Von Hollenhund on taking first place in french ring 2, not only gaining a new title, FR2, but becoming the first German Shepherd dog in Canada to pass FRENCH RING 2 in over 20 years! 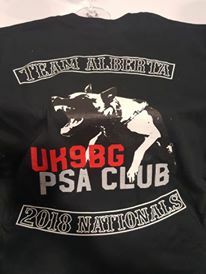 Dragon (Ellis Von Daechsel) Got 6th place out of 13 dogs at the 2018 PSA Nationals in Toronto Ontario! Im so proud of my boy. A huge special thank you to UK9BG and Shaun Thankachen for helping me prepare for this huge event and making sure we went home successful! GO TEAM ALBERTA! Congrats to Kristi Malone and Ransom (Bishop VH) on your First Place win at the spring trial in central Alberta! They had a beautiful routine and scored 287! Good Job on your new title PSA1. Cassandra Beach and Dragon (Ellis Von Daechsel) also got his PSA1 and took Second Place with a score of 280! Hollenhund German Shepherds is a passionate family run kennel that strives to produce dogs with perfect temperaments, high working drives, Functional size and form and of course beauty. 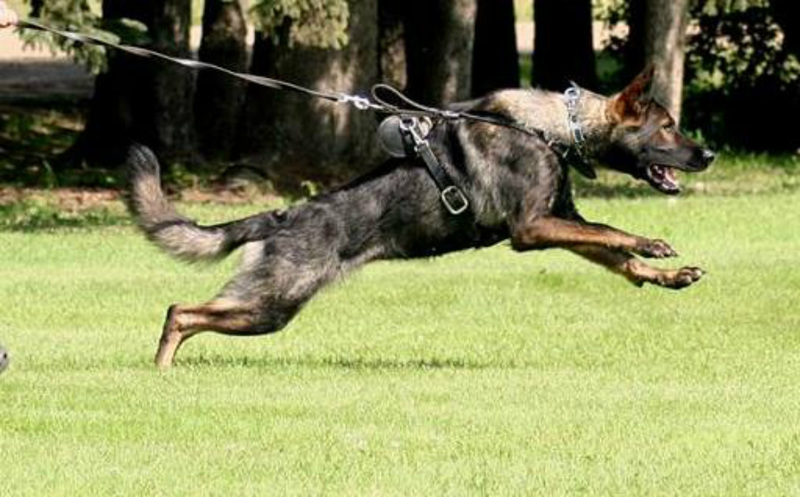 We work extremely hard to address the health issues in the breed and bring to our clients well rounded utility dogs that will excel at Law Enforcement, Scent Detection, personal protection, sport and family protection. Our dogs are put through the paces and tested over and over again to ensure they are the quality needed to carry on the genetics. We take our dogs everywhere we can and train and test with as many different scenarios and people as we can find in order to judge each dog by its strengths and weaknesses and make informed matches. We are looking for solid nerve, excellent prey drive, strength in a fight, undying hunt drive and real aggression for real life work. We realize there are no perfect dogs and make it our mission to match dogs who strengths and weakness can work together to make a stronger dog. All of our dogs are fed a raw diet for optimal health and wellness, we believe in natural rearing and our pups are the proof of this method. We are happy to match you with the partner you need, whether he is for sport, Law Enforcement or family protection. All Hollenhund Dogs come with a two year working guarantee as well as genetic health warranty. We want your experience with us to be one that brings you back for your next dog. All of our dogs are fed a healthy raw diet which cannot be matched by any kibble, no matter the quality or price tag on any bag of kibble it is still just processed food after all. Please Call Martino at 403 783 0951 to find out more about raw dog food! Cassandra Beach is a Certified Master Trainer who attended Canada West Canine Center School of Dog Trainers in Salmon Arm B.C. "She has a way with the dogs" this is something so often said about Cassandra. Her passion and flare for what she does is all to apparent in the way she lights up when a conversation about anything 'dog' is started. Her knowledge of dogs is extensive, Cassandra's goal is to help people understand their animals better and help to create that great bond they really want with their best friend. Her teaching style is adjusted as she sees fit to whom ever she is working with, from little children to people with dis-abilities. She just loves to see handlers and dogs working happily! "At Rock Solid we employ the power of positive reinforcement when teaching dogs the desired behaviors we seek. The science of dog behavior has changed our understanding of our K9 partners to better our relationships, strengthen our bonds and create more willing and reliable dogs. Dogs love to work, they will do amazing things if given the opportunity to learn in a none punitive manner and learn to trust 100% while also enjoying their work. +R teaching is a very rewarding system for both you and your dog!" We offer bite work training, tracking and scent detection training as well as basic, advanced and competition obedience. On Saturdays we teach bite work and on Sundays we head out to the field to do some tracking. Keeping our breeding dogs active in dog sports such as bite work and agility ensures we are breeding capable working dogs. Some of our puppies have gone to Scent detection, SAR and bite sport homes with great results!